Oracle Team USA Spithill clawed back from a slow start to win today’s Super Sunday fleet race and take home the fleet racing overall championship at the America’s Cup World Series San Francisco. 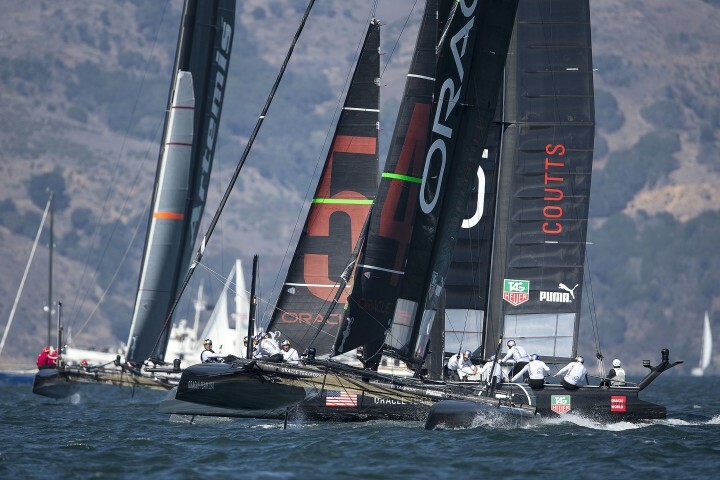 With the win, Oracle Team USA Spithill captured both the match racing and fleet racing titles at the regatta. Oracle Team USA Coutts crossed the line in second in the final of seven fleet races on the week to finish fifth overall. “We were dead last off that start line, but it didn’t even faze this team,” skipper Jimmy Spithill said. “We’ve got a real team of fighters here, and we’re very, very happy. I’ve got a great group of guys behind me. 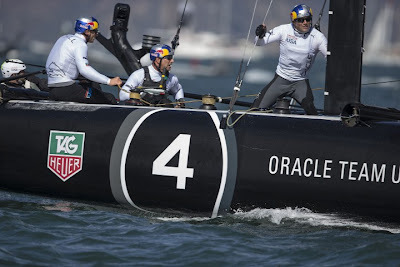 Oracle Team USA Coutts rounded the first mark today in third place with Oracle Team USA Spithill in last. While helmsman Russell Coutts and crew held position, Spithill gradually made up ground. At the fourth gate, Coutts and Spithill were sitting first and second, respectively, before Spithill took the lead down the fifth leg. With bonus scoring on the table, OracleTeam USA Spithill finished tied with J.P. Morgan BAR, skippered by Ben Ainslie, at 79 total fleet points, but won the overall title with a first-place finish in the final race. 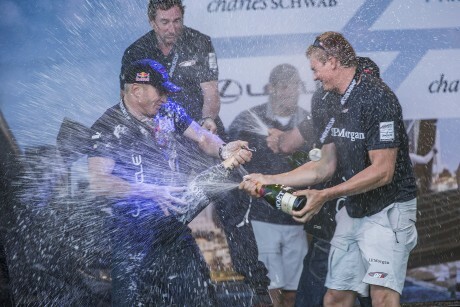 It was the second consecutive ACWS fleet racing title for Spithill. Oracle Team USA Coutts closed out the week with 56 points in fifth place and also finished fifth in the match race standings. 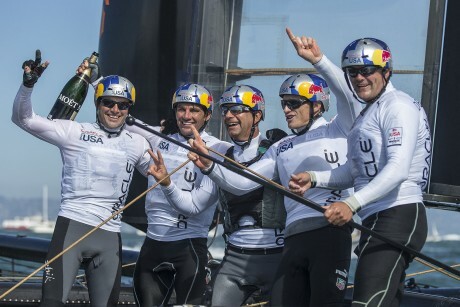 On Saturday, Oracle Team USA Spithill claimed the match racing championship. The team bounced back from capsizing in the fleet races to return to the race course and defeat Emirates Team New Zealand. 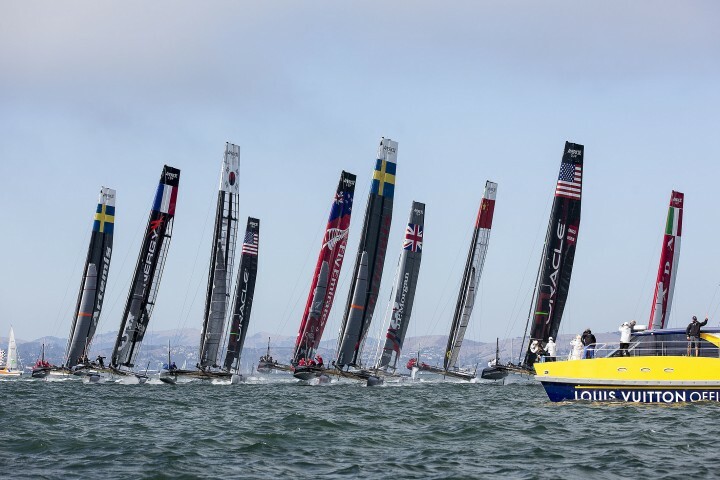 Oracle Team USA now turns its attention to sailing the new AC72 in the coming weeks. The next America's Cup World Series will take place in Spring 2013. The 11 boat fleet for this week’s regatta also included: Luna Rossa Piranha (Chris Draper), Team Korea (Peter Burling), Energy Team (Loick Peyron), Luna Rossa Swordfish (Iker Martinez), Artemis Racing – White (Terry Hutchinson), Emirates Team New Zealand (Dean Barker), Artemis Racing – Red (Nathan Outteridge), J.P. Morgan BAR (Ben Ainslie) and China Team (Phil Robertson).